Supervision is a valuable protected space for personal and professional development that has the potential to contribute greatly to positive transformative change. 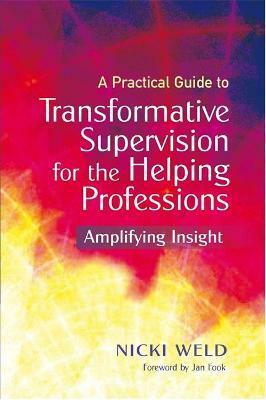 This book explores what is meant by transformative supervision and how it can be undertaken. It examines the key factors that contribute to the transformative function, such as the role of observation and questioning, the importance of working with emotions, and exploring intuition. The book takes an in-depth look at the supervisory relationship and offers real examples from practice to illustrate the ideas in action. Offering a range of practical strategies, techniques, and approaches to enhance current supervision practice, this book brings a new voice to the topic of supervision by emphasising how it can contribute to continuous learning and self-development. Suitable for all those in the helping professions including social workers, counsellors, psychotherapists, occupational therapists, nurses and probation officers, this practical book is an invaluable guide to enhancing supervision and promoting both individual and social change.